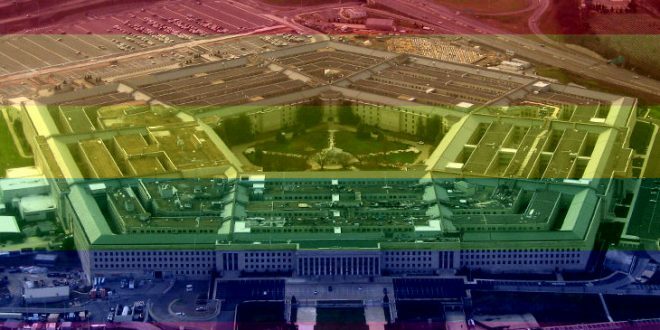 Pentagon May Allow Some Now Serving Trans Troops To Keep Their Jobs, White House Guidance To Come Soon - Joe.My.God. The Pentagon expects to renew a ban on transgender individuals joining the military and to consider circumstances in which some currently serving transgender troops could remain in uniform, officials said Friday. The new approach would be based on formal guidance the Pentagon is expecting to receive soon from the White House. The guidance, as described by an official familiar with its contents but not authorized to discuss them publicly, appears to be less rigid than the complete ban that President Donald Trump announced last month in a tweet. Trump had said the federal government “will not accept or allow” transgender individuals to serve “in any capacity” in the military. The official said the new guidance is expected to put a stop to recruitment of transgender individuals and prohibit the use of federal funds to pay for sexual reassignment surgery. But it would give Defense Secretary Jim Mattis six months to determine circumstances in which those currently in uniform who are openly transgender might be permitted to continue serving.